Throughout his career, attorney Gery Chico has served in significant leadership roles in Chicago. He also ran twice for mayor, including this past February during a historic election with 14 candidates. 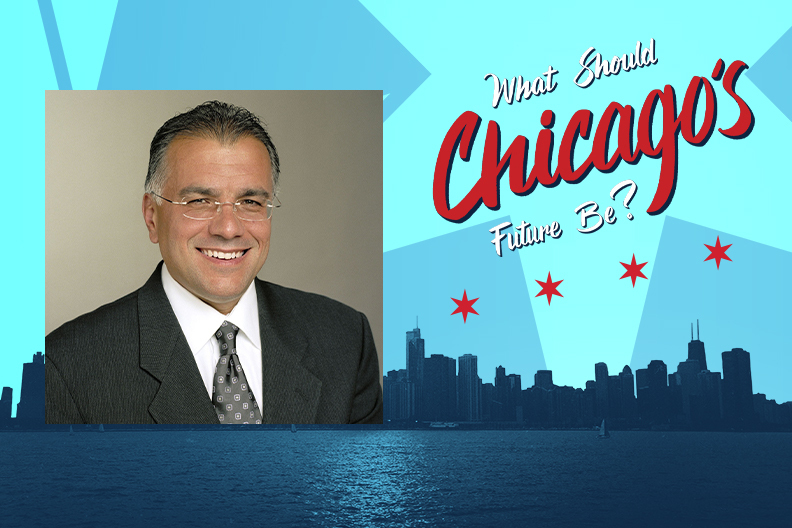 On Monday, April 29, Chico will present “What Should Chicago’s Future Be?” this year’s Andrew K. Prinz Lecture for Political Awareness at Elmhurst College. A partner in the law firm of Chico & Nunes, Chico was recruited by Mayor Richard M. Daley in 1992 to be his chief of staff. He went on hold to key posts in Chicago and statewide, including president of the Chicago Board of Education, board president of the Chicago Park District, board chairman of the City Colleges of Chicago, and chair of the Illinois State Board of Education. In 2004, he ran unsuccessfully for the democratic nomination to the U.S. Senate, losing to Barack Obama. Besides running for mayor earlier this year, he also ran in 2011, losing to Rahm Emanuel. The Andrew K. Prinz Lecture for Political Awareness will begin at 7:00 p.m. on Monday, April 29, in the Frick Center, Founders Lounge. Admission is free and all are welcome.